Watch Anjali put together these amazing Rangoli Cupcakes in just one minute! For the full course along with Tools and Ingredients lists and step by step lessons go to RANGOLI CUPCAKES. Anjali Tambde is a multi-award winning sugarcraft artist who holds a distinct achievement of winning back to back Best in Show awards in 2016 at Cake International and Irish Sugarcraft Show where she was entering the competitions for the 1st time. Anjali has also won several Gold and Best in Class awards at Irish Sugarcraft show in Dublin,Cork Sugarcraft Association,Cake and Bake Germany and Cake International London and Cake International, Birmingham. 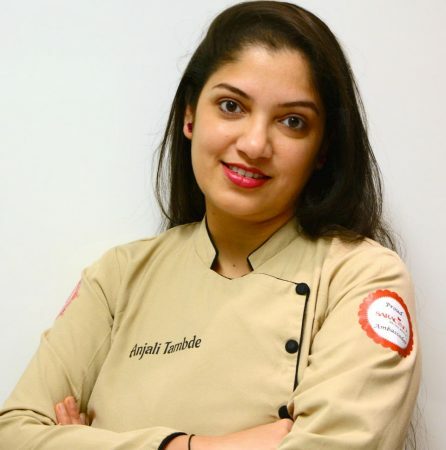 Apart from winning various awards, she has also conducted various demonstrations and workshops in different parts of the world and many popular cake shows. She is also one of the few artists whose tutorials regularly feature in various Cake Magazines and websites. Her award winning pattern techniques have featured in many international magazines and have been immensely popular.